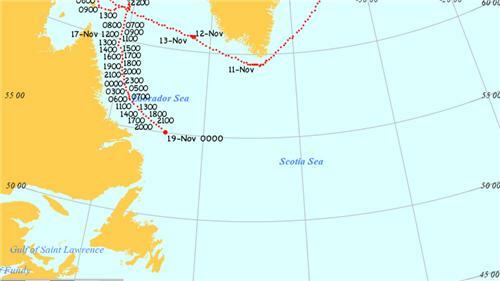 Here's the latest info about the location of the Newfoundland vessel with three stowaways aboard it. The RNC says a fourth person has been charged in connection with a string of poppy can thefts. This suspect is a 63-year-old man believed to have stolen a can at Tim Hortons restaurant in Mount Pearl. RCMP have confirmed that the man driving the vehicle in today's St. Shott's crash was killed. 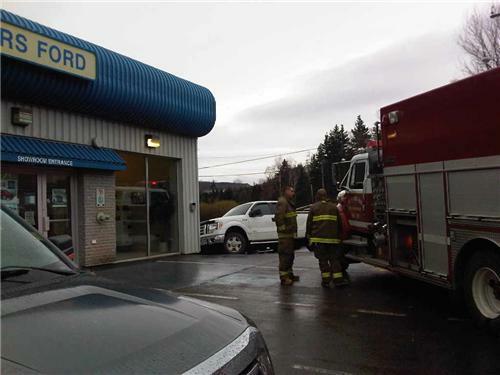 Corner Brook firefighters ordered employees of Humber Motors Ford to leave the building just after 9:00 this morning, after carbon monoxide alarms sounded. The crews were still standing by after lunch time today as they conducted air-quality tests. RNC has charged a 29-year old man from St. John's in connection with several poppy-can thefts. Stay with #CBCNL for the details. "@GaryKelly: Roads are clear and dry in #CornerBrook Wind starting to gust. #nltraffic"